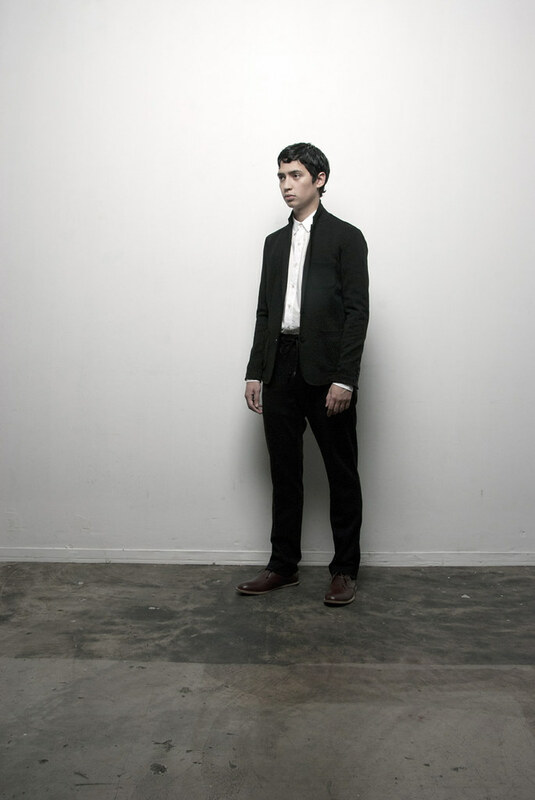 The Very Simon G sporting a waxed cotton shirt with zipped black circle detailing by Martin Rose. Earlier this summer, Susie returned from the Disneyland of menswear tradeshows that is Pitti Uomo, armed with a pocketful of business cards, a mind crammed full of rail tales and a number of SS12 product shots. As she hopped, skipped and jumped her way through the vast space her ever eager eye was scanning each stand and taking note of the real gems. One of the shiniest was Monsieur Lacenaire. 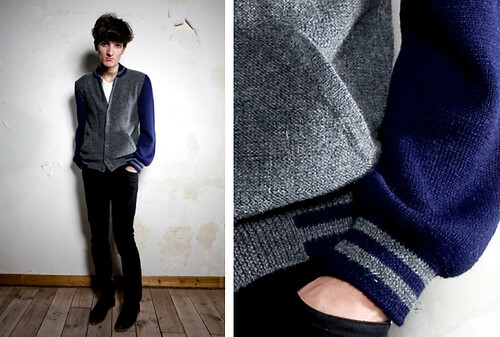 With the unveiling of its debut collection for AW11, the menswear magpie in me had found its latest obsession. SS: How did you go about stamping your take on this staple of American sportswear? Garance Broca: Making this piece in a soft and shiny Superfine Alpaca fabric has made it more sophisticated with a fine touch of tradition, also with the wooden buttons. It has the look of American sportwear but it is more like a little jacket or a cardigan. The fit is less chunky and less rigid. SS: Could you talk us through some of the technical processes and people involved in making the jacket? 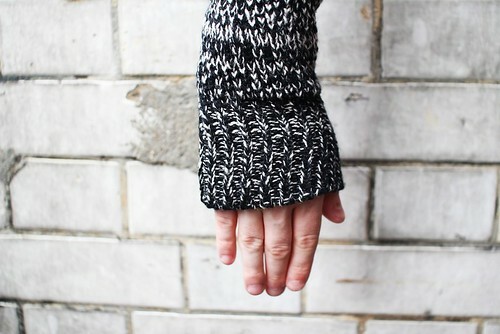 Garance Broca: I’ve tried a number of different knit techniques to have some of the traditional fitting. I wanted a slim fit but with chunkier sleeves. 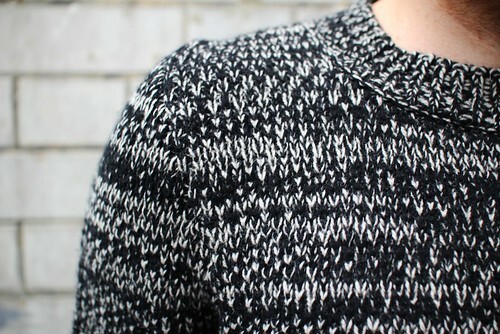 Also, to add a hint of classic knitwear, I added a cable in the back. SS: Did you encounter any problems? How were they resolved? Garance Broca: For the body part, I wanted a more elaborate stitch but it would have made the style too thick. Also, the contrast with the sleeves was not troublesome so in the end I decided that the simpleness of a reverse jersey would be both nice and light whilst the contrast with the full needle sleeves could be more relevant. SS: Like all good menswear, the jacket oozes details. What are you favourites? Garance Broca: I think my favorite is the cable in the back. This jacket is already strong as it is but the addition of the cable knit is the last detail that really makes a statement and declares 'I am knitted'!" SS: How would you describe the finished piece in your own words? Garance Broca: This is a piece where you can fell both different and safe. The look is totally trendy but the details of the wood buttons or cable at the back make it really special and unique, and ultimately make it Monsieur Lacenaire! 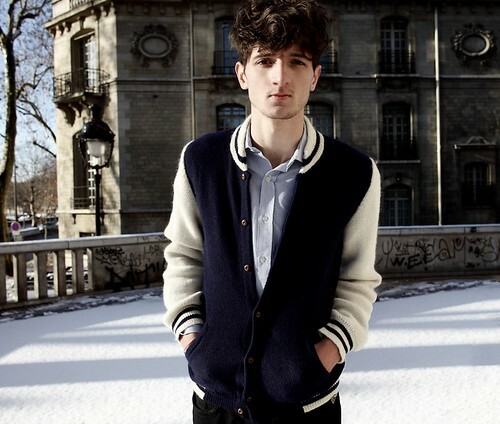 "I love this jacket because it represent what is the new menswear : both casual and chic. It’s completely casual because it refers to college boy and sport; but in the meantime, it has become a classic item and it represent a high level class in America, so it can be seen as chic." 'Classics with a twist' is one of those throwaway phrases (by designers and journalists alike) that is so over used that I'm loathed to ever use it on the pages of this blog. However, Monsieur Lacenaire's debut offering is one of those odd occasions where nothing else will do. As Broco reimagines wardrobe staples like the classic Varsity, there is a display of welcome playfulness and a covetable depth of detail. Now, we were not the only one to fall for the knitted charms of its debut with Selectism being one of the first blogs (way back in April) to shine the spotlight on the label and key retail locations snapping up the label. 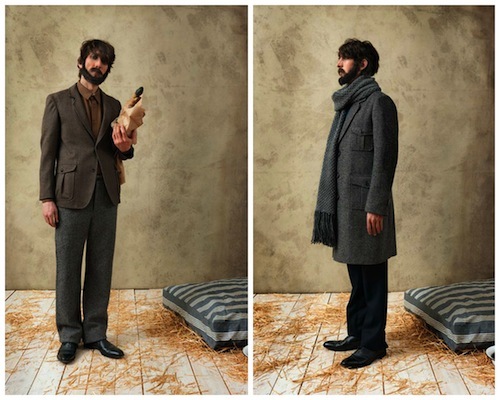 Mr Porter and Colette have both swooped and picked up key pieces for the winter season, including the Teddy Jacket. A spot of DIY. The addition of yellow leather elbow patches transform an old jacket. 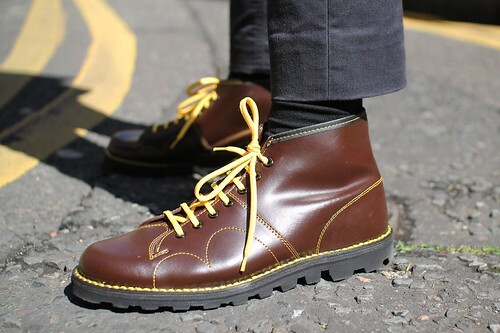 A pair of classic Monkey boots with yellow laces and stitching. We are consistently inundated with collection unveilings and product drops. At times it feels as though our screens become a conveyor belt. A blur of items that leave us oohing, aaahing, reaching for our wallet or scratching our head in disbelief. However, the incessant pace of it all is often to the detriment of the product. With our latest feature series, Unpicking the seams, we want to celebrate and focus on the deserving. The series will take a deep breath and showcase our favourite items from each season and even take the odd look back. With a new season fast approaching (with August days that are more at home during October) and our love of a good knit, we kick it off with a longing look at a real highlight from Lou Dalton. From the frustrated and disillusioned Seattle scene through to the discomforting ruthlessness of the Russian criminal underworld, Lou Dalton was influenced by feelings of discomfort and a desire to fit in for AW11. As a designer, Dalton is concerned with colour, texture, quality and finish and here, she continued to practice and hone her signature of rebellious English sportswear with a strong sense of detail. As always with this exciting design talent, knitwear is a key facet of the collection and here it is oversized to soften and texture to the tailoring. 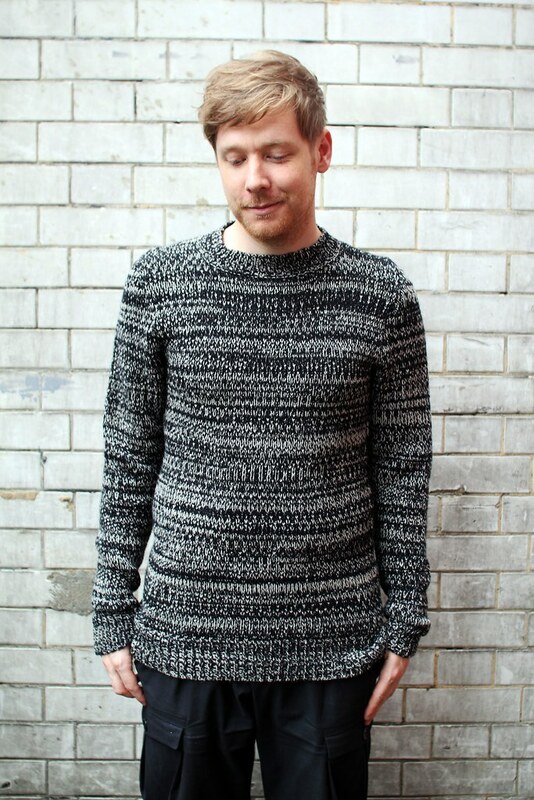 One of the real highlights was this fantastic heavy-gauge marl knit nicknamed white noise. "Internally the piece was given the name of "WHITE NOISE", my fellas brother was in the studio one night as we were working our way through various swatches of knit, his reaction was spot on to what eventually became this sweater, "That looks like white noise....." and that was really the starting point. I do like a melange knit however; a standard melange is quite consistent throughout, I wanted this to be a little ad-hoc a little home made." Lou Dalton on the starting point of the knit. The high neck and oversized shape do just that. Inspiration came from classic Melange knitwear, a very old crudely knitted scarf that the designer found and sweaters worn by the likes of Kurt Cobain during the height of the Seattle scene. Once Dalton has an idea of where she is going in terms of concept and design, she meets with the knitwear factory where this information is relayed, various swatches are requested to cover both the design and tension of knit required. Once approved, the sampling trials begin before a finished piece emerges. "As I am not a trained knitwear designer but do have a good understanding of what I like and what technically works in terms of construction and knit. I start with the yarn research, I work with various yarn suppliers from the UK through to Italy, I will request yarn cards, along side of this I will research and look at a variation of knit techniques and stitches that I feel are relevant to the aesthetic that we are working on for the season as well as looking at vintage finds and contemporary knits. It is also very important for me to remind myself of what historically has worked for us in terms of sales etc. This particular exercise is possibly the most important part of the process, to try and nail what your consumer will relate to is key." Lou Dalton on the design process. 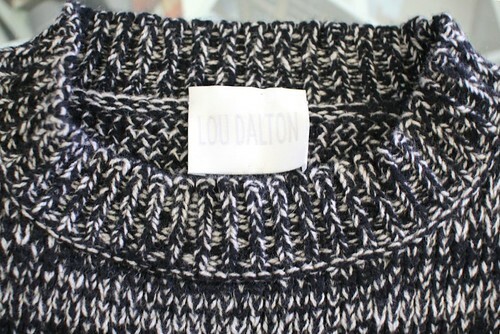 A closer look at Lou Dalton's White Noise Knit. We'll leave you with Dalton's succinct description of the item, "WHITE NOISE....... 100% lambswool Crew neck sweater..... on sale at Liberty." The role of the high street in my everyday wardrobe has been in steady decline in recent years. Aside from the regular splurge on basics in Uniqlo, I have often found myself frustrated by the lack of options in stores that used to offer so much. Now, hopeful shopping jaunts to central leave me feeling somewhat alienated and past my prime. The harder I try to unearth a bargain in these fluorescent light filled spaces the more I question and bemoan what the high street has become. Surely it should offer more than just throwaway staples? There has been one glimmer of light with the introduction of COS. Unlike many of its competitors, it has never felt the need to fill out a tick sheet of trends with the unveiling of each season. Since it opened its door on Regent Street back in 2007 the store has strived to fill the void between the high street and high end design. However, I would say that it has been far more successful with its womenswear design. Over the course of the last few seasons I have questioned the design balance between its two offerings but AW11 is a season of welcome parity. 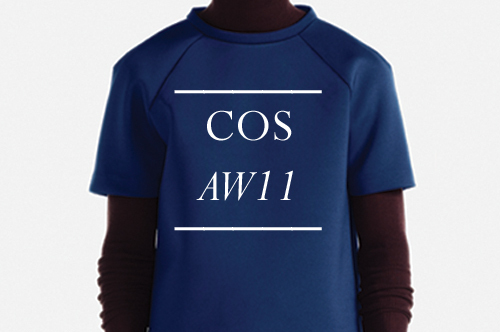 Look book images courtesy of COS.
SS: What was the starting point for AW11? Martin Andersson: We began by studying the architecture and interior design of pre-fabricated Swiss ski chalets which led us to vintage ski and sportswear. These influences can be seen throughout the collection, from our trousers which are reminiscent of ski pants, knitwear featuring turtlenecks and padded detailing and quilted soft leather gloves. The sporty influence is balanced with a modern and minimal preppy edge. 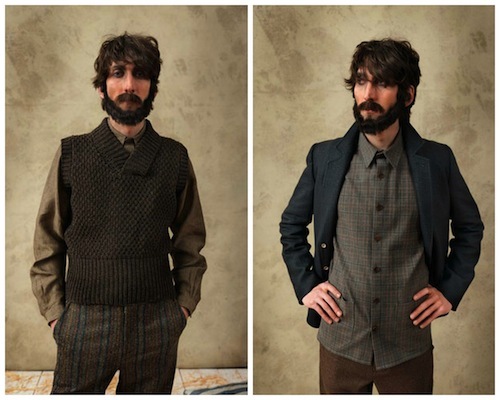 For this we looked at vintage Ivy League garments and updated these with modern fabrics and colours. This inspiration is most evident through our range of college sweaters that have been re-created in super modern boiled wools and Milano ribs. SS: What drew you to the work of Alice Neel and how did it influence the designs? Martin Andersson: We were drawn to the paintings of the twentieth century artist Alice Neel when looking at the concept of modern preppy dressing as she captures American mid-century dressing beautifully throughout her work. We were also inspired by her use of colour featuring sober shades of aubergine, chalk, charcoal and navy throughout our autumn winter collection. SS: The fabrics this season are particularly interesting with a mix of tech and sportswear which are used to create pieces that feel both modern and retro. Could you talk us through some of the key fabrications? Martin Andersson: We feature a lot of bonded foamy fabrics which have technical and sporty qualities. Neoprene is used for various garments, as are futuristic fleeces, unwashed rigid denim and compact poplins for clean, minimal shirts. SS: What are you most looking forward to integrating in to your own AW wardrobe? Martin Andersson: A neoprene coat we have in bright orange; it is a classic and preppy car coat shape that has been updated with the choice of fabric and colour. I also love the tailored coat and suit we have designed in grey melange wool; it is a sculptural and modern take on the traditional cloth which feels very luxurious. SS: How would you describe COS' position on the high street? What are your hopes for the future? Martin Andersson: We have been told in the past that we have filled a gap between the high street and high end design. Fortunately we have received an extremely positive reaction from customers to date and hope to continue this in the future. Rei Kawakubo is among the most respected and unconventional designers in contemporary fashion. As the driving force behind Commes des Garçons, she has continually challenged current ideals of body shape, garment construction and use of colour. From the moment the label sprang to fame with its first presentation in Paris back in 1981, the world of fashion has never been the same. Comme des Garçons quickly became the preferred label of the avant-garde and the highly independent. Whenever I think of the label I'm reminded by a sentence penned by Cathy Horyn in her NY Times piece, Gang of Four. "Kawakubo has been making clothes for nearly 40 years, always under the label Comme des Garçons, which means ''like some boys'' and in a way suggests a gang." Over the last four decades, Kawakubo has amassed quite a gang of followers thanks to her radical approach to fashion design.. Amongst them is One Nine Zero Six's very own Dean Webster who treasures a single breasted suit from 1988. 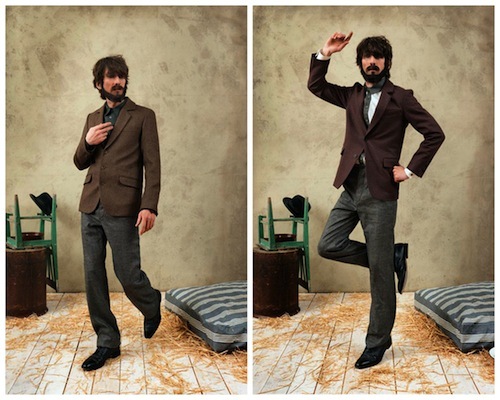 Dean Webster and the Comme des Garçons suit. 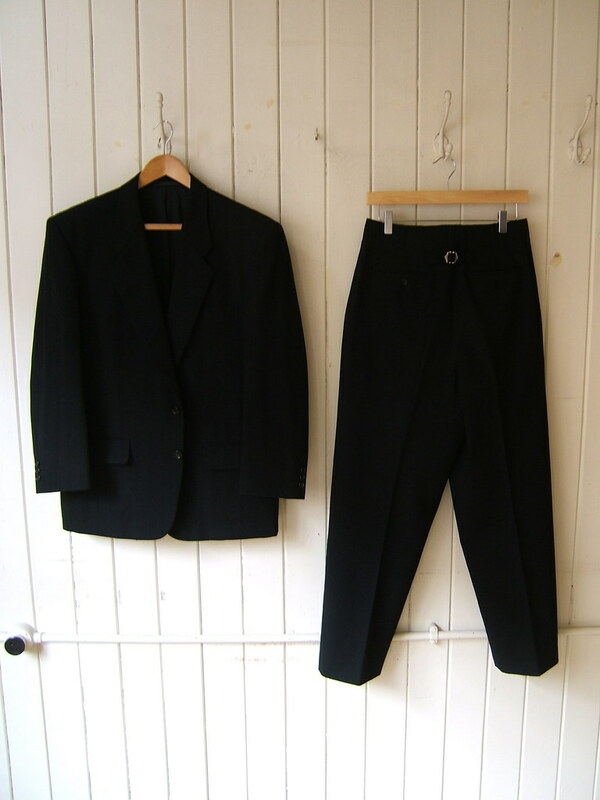 "My treasured item has to be my black Comme Des Garcons Homme two button single breasted wool suit (black of course) and was purchased from the original Comme store on Fulham Road. It states on the inside care label, like a discreet badge of honour, the date AD1988 and, most importantly, its made in Japan credentials. The jacket has an exaggerated shoulder line and wide lapels with a dropped notch and is shorter and boxier in body length, indicative of the zeitgeist that the Japanese Dark Wave designers brought to men’s fashion in the mid to later 1980s. The trousers are high waisted with grown on waistband, dropped belt loops and a double pleat front, cinch back waist adjuster and what would have been called a ‘peg’ silhouette at the time (very full at the top of the trouser, tapering from the knee quite severely to 16” bottoms). I guess that it’s almost a ‘zoot suit’ but without the longer line jacket of its obvious design origins. 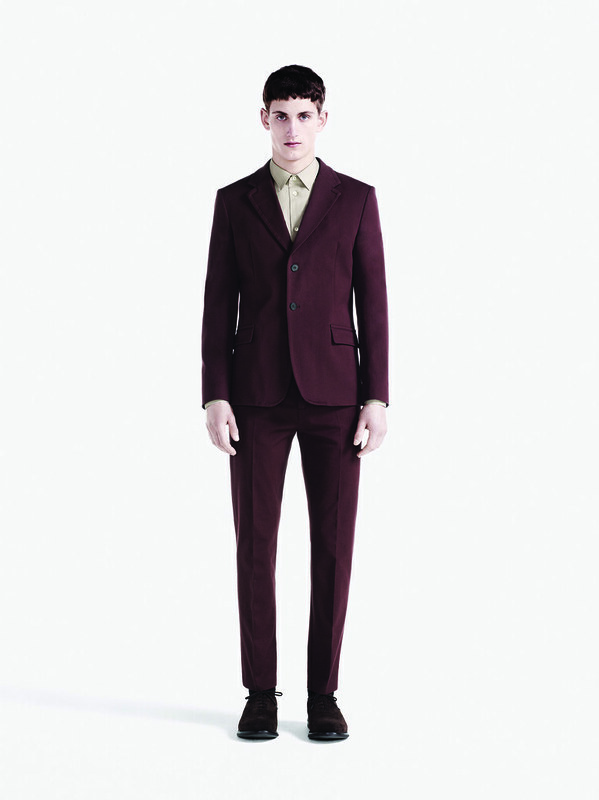 The fabric is a 100% wool jacquard and upon closer inspection, the jacket and trouser fabrics are mismatched weaves. The jacket is a horizontal slub rib, almost boucle-like texture and the trousers are a cross hatch version of the same weave. The buttons are real horn. I would almost certainly have worn it with a white shirt, fastened at the neck without a tie and with a pair of black suede, crepe-soled, side buckled creepers (I still have a version of the same shoe in my wardrobe to this day with white leather piping on the front apron and buckle trim). It’s a thing of real beauty to me, in great condition and still looks relevant." 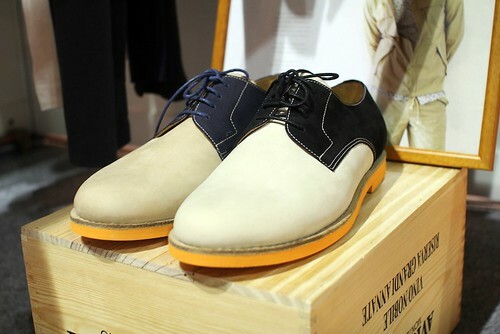 Towards the end of May, I was invited to Singapore for its premier tradeshow, Blueprint. To the best of my knowledge, Blueprint uniquely specialises in launching cruise collections and thankfully curates fresh and forward menswear alongside womenswear, jewellery and accessories from emerging designers destined for international markets. Showcasing one hundred and twenty brands from eighteen countries, Blueprint is a fashion trade gateway for East-West exchange. Over the course of a few hectic days, I explored this lively Asia based platform dedicated to Singaporean and regional design talent and encountered a few gems in the process. The local highlight was undoubtedly Sifr. Chris John Fussner: I am fascinated by the process of taking an idea and manifesting it into a tangible service, solution, product or lifestyle. Doing a report on Da Vinci in the 5th grade had a big impact on me, seeing a single human being manifest so many ideas into reality is something to strive for. Suraj Melwani: First and foremost, I didn't think we were trying to reinvent the wheel. 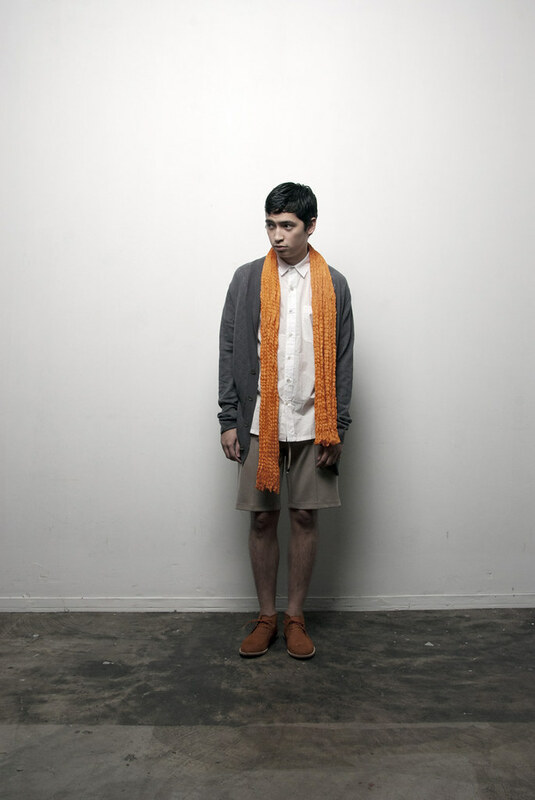 Coming from Asia, we felt that we were able to offer beautifully made, relevant clothing to a wider audience. We have all the resources at our feet and we're able to really focus on quality and design while still using premium fabrics, etc. We have a great team out of Singapore that specializes at different things as well as a production team out of Indonesia who we sincerely care about. This sincerity translates into well made products. SS: What does Sifr mean to you? Chris John Fussner: Sifr is a space for exploration and sharing. sifr leads us into new areas all the time, we're constantly learning and trying new things. It's all part of the process and relationship we've developed with the company. The company is like another person. A good friend, someone that your constantly in conversation, someone that you're always learning and sharing with. Suraj Melwani: Sincerity. It is a reflection of who we are as people and how we work. If we can better ourselves and what we do, we're always up for it! SS: Born in 2009, how has the label and your approach to it evolved over the years? Chris John Fussner: It has been a roller coaster; such is life! A process of self discovery and growth, the label has continuously evolved. We are in a space now where we are very comfortable with how we are expressing ourselves. If there's anything I've taken from the labels evolution: design and business must dance together in rhythm, don't make things too significant, and patience. 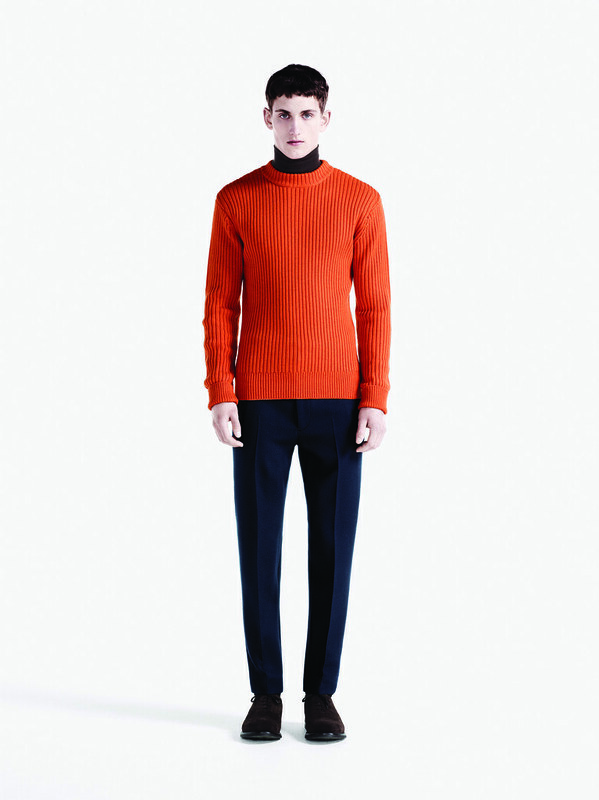 Suraj Melwani: When we first started, we focused on creating a tight-knit collection. 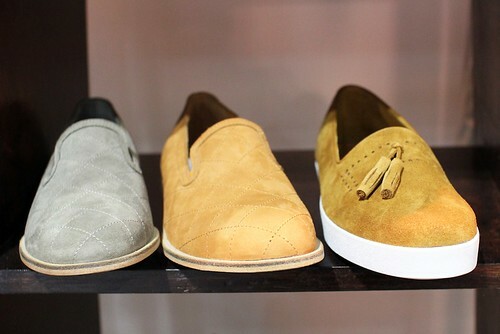 However, with all of our resources, we're able to work with knits, prints, footwear, etc. This has created somewhat of a dilemma for us. Since we're able to make more interesting garments and accessories, we've tried to stay away from in-depth specialization. We've tried not to create one single product that people can identify us with. This can be a double-edged sword but that's what makes us special. We're able to make a lot of great things, so why not keep going. SS: How would you describe your style and your own design philosophy? Chris John Fussner: If I see someone wearing something in real life travels, in a movie, a comic book, anime or in my dreams I'll consume and re-interpret. I must confess that I in the last few months I've been feeling like Ghost in the Shell meets Acronym and Gyakusou. I've been itching to purchase some all black Vibram Five Fingers, that would definitely complete a nice tech-ninja look. I wish I had some therm-optic gear. As for design philosophy, we create what we love, there's a lot of personal sensibilities in the clothes we make. We merge these sensibilities with ideas and concepts we want to express about where we are from and what we like. Suraj Melwani: As people, we tend to like our space and room in terms of our surroundings. For myself, it translates into clothing as well. I like clothing in breathable silhouettes. I like to be comfortable and I prefer clothes with room like what Kolor is doing. Currently, I'm pairing relaxed fit shirts with relaxed fit trousers. Sometimes it works, sometimes it doesn't but you end up feeling like you could roll out of bed and go to work. We're also lucky to be in South-East Asia, where we can see people who put themselves together that don't really make it a focal point to always look good, but eventually do so. Seeing them not put any effort but looking well is always inspiring. That's how design should be; closer to your life and closer to reality. SS: Could you tell us a bit about the dynamic behind Sifr? How do the two of you and the rest of your team work together, what do each of you bring to the label? Chris John Fussner: I wish the roles were a little more clear cut and defined but at the same time I think that's what keeps it fun. It's a small team so everyone does multiple jobs. I find myself doing everything from sales, fabric, design, branding, marketing, tech, pr; a little bit of everything. A lot of the process is co-creating / collaborating with each other, a lot of the decisions and process involve a group mind. Which I find very interesting because if we weren't creating in a group mindset the outcome would be very different. In that space of a group mind there are a lot of conversations back and forth which produces something unique to the brand and to ourselves as individuals being part of that process. Suraj Melwani: I usually handle production and use my spare time to think of ways we can save money. Initially we kept our tasks quite defined and I found myself in the middle of design and production. 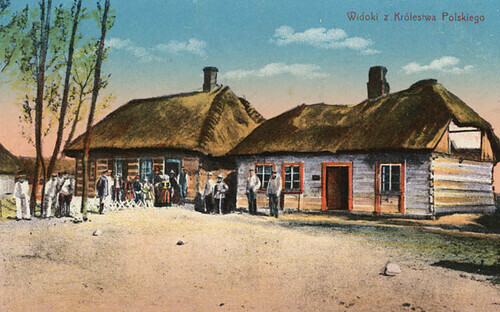 However, upon receiving a batch of garments that the team weren't too keen on they quickly (and regularly) made it known that group work was their preference. I like the PR side of the business. Listening to what people say is really important to us, just not when it's at some party/loud bar where listening is not really possible. 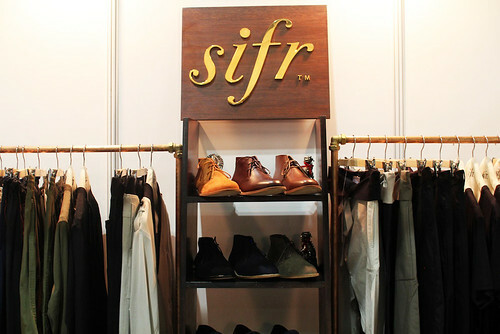 SS: Since 2009, Sifr has been engineering refined garments (and now footwear) for forward looking men who seek quality, affordability, and design that’s relevant to their lives. What were the first and last item you remember designing? Chris John Fussner: I remember finding this tight black and white floral print on the street parallel to our old office, a Liberty-esque sort of vibe but a little more minimal and the floral pattern was very tight so from a distance it looked more like a texture. 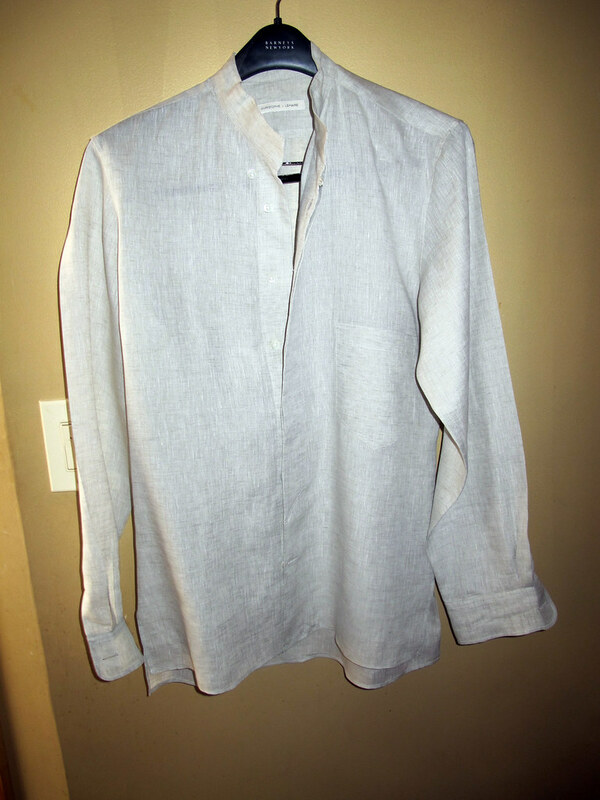 Then we took the fabric and made a button down short sleeve. It's my favorite shirt to this day. 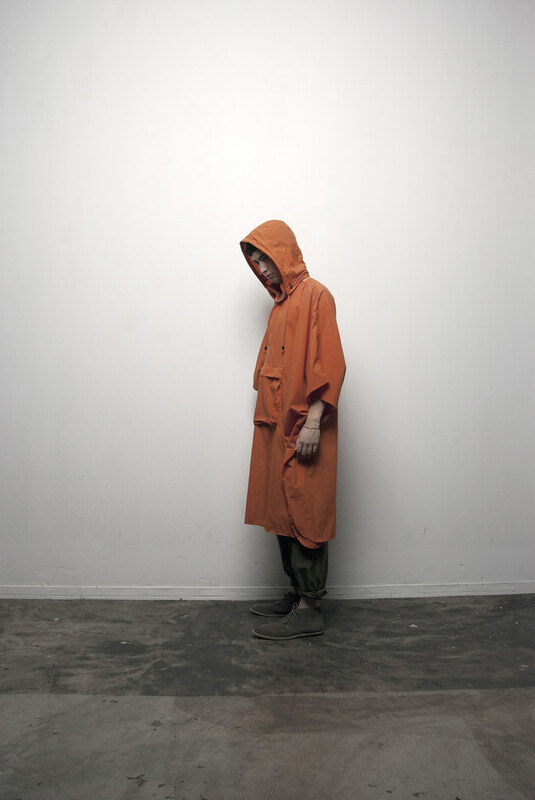 The last item I remember designing was for this last SS12, the marigold orange nylon poncho with a kangaroo pocket that the poncho can fold into for utility. 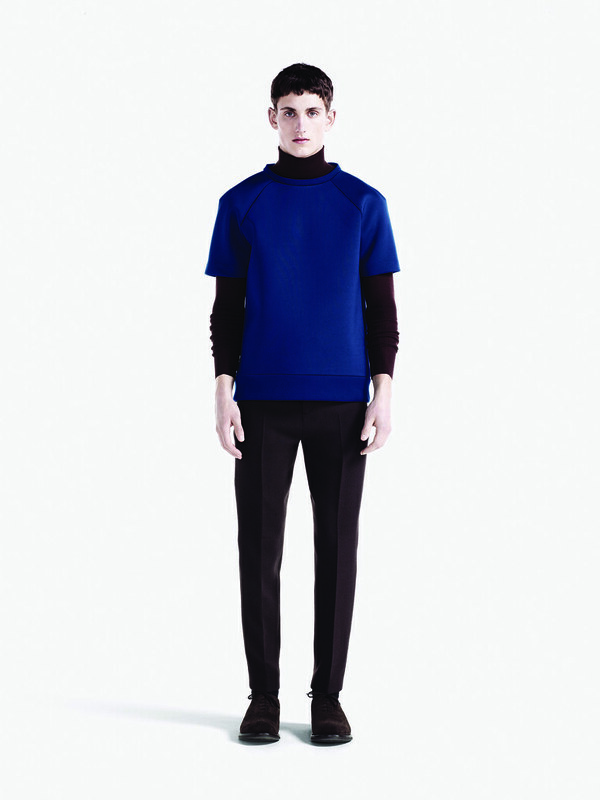 Suraj Melwani: I started with this pleat t-shirt that we're actually re-interpreting for this season again. It did really well for us. It was a cotton modal piece that draped very nicely. 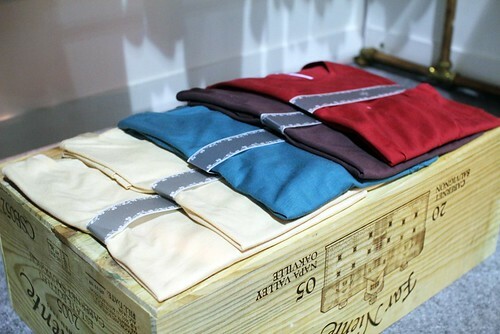 I remember doing a cotton spandex shirt as well with some leftover fabric. It shrank a whole size down over time but I loved it so much I didn't want to let it go even though it looked like I borrowed something from my sister's closet. Last item I designed was the "lazy" blazer that is a crucial part of our line and will continue to be something we work on regularly. 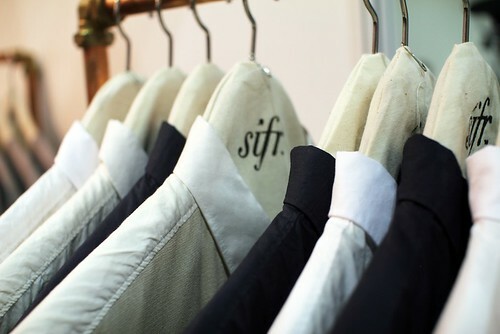 SS: The SS12 collection, entitled ‘Belonging’ was born from a process of reflection on the core beliefs behind the Sifr brand. Could you talk us through your latest collection and how the label itself inspired you. Chris John Fussner: Cash is king, it's not the sole reason we do Sifr, but without it we're not able to continue creating and sustain the family we've built with the brand. We found ourselves being trapped in just producing tiny capsule batches for the local market and within those batches we caught ourselves losing the plot about why we created the label in the first place; create great quality products and have a good time doing it. We found ourselves just producing for the sake of producing, although the product was not bad it just wasn't presented in the context we wanted. 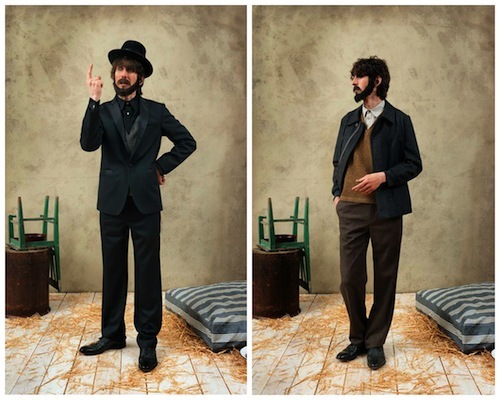 The collection looks at subtle detailing, great fabrics combined with superb construction. The use of a somber palate of earth tones and a splash of marigold orange, the marigold is a big signifier in South and Southeast Asian culture. We brought some traditional detailing from age old garments from South and Southeast Asia into a current context. Transparency and opacity are both explored in the collection as well, playing with weights and layers in relation to the weather in Asia. All things pulled together the collection is an expression of clarity and logical thought. SS: Sifr interprets crafting in a modern, globalised way. You want to create high quality products in a financially feasible way. Craft and local manufacture are obviously very important to you and are dear to us too at Style Salvage. Can you talk us through some of the process involved in creating the range? Chris John Fussner: Ideally we would have loved to produce everything out of Singapore however in the last few years the garment manufacturing industry on the island has almost disappeared; I've heard you can count the number of manufacturing operations left on the island with your fingers. The next best thing we could do was travel 1 1/2 hours away to our neighbor Indonesia, Suraj's home town and start sourcing over there. Since the disappearance of the quota system and the advent of China a lot of manufacturing and production has since vanished. However we stuck to our guns and started doing detective work in early 2010. At this point in time we are lucky to be working with a handful of people there that are providing a stable base for us to pursue the overseas market. These relationships allow for an open dialogue in the process, like all processes there is a beginning middle and end. In our case we're lucky to have a great dialogue in the middle, in the past it was just emails and we'd see a few samples before production and then that was it. Now we have one of our team members over in Jakarta working directly with our suppliers and we fly over at least once every month or every two months. Where we are able to discuss and brainstorm what we want to convey in the product with our ideas. In this conversation we get these gems of feedback, suggesting a different construction method on the pattern, or to try this other material or to consider a different thread or stitch because of the fabric weave. So it's that dialogue that takes place between the first sample and the pre-production sample that makes all the difference. We're able to get a deeper connection with the process. Suraj Melwani: The people really do it for us. Initially, we were always a little shy to say that our clothing was made in Indonesia but upon experiencing the production process these last few years, my ideas and thoughts changed. I studied in New York and I've seen clothes made in the US and shoes made in the UK. They are beautiful but the same can be said about things that are made in Indonesia. The people behind the product are amazing. Indonesia has long been a mass manufacturing country and after it lost some of it's market share to China, the skilled workers still in the garment business are now focusing more on quality products. These guys can now channel their efforts into smaller quantities and better quality. Our pattern maker is supremely talented and just as good as anyone out there. Indonesians don't speak loudly, they do most of their talking with their hands. SS: Finally, how do you see the brand developing over the next couple of years? Chris John Fussner: We're hoping in the next few years we would have done enough to make way for other labels coming out of of Southeast Asia. A flagship, somewhere in the world! A company and brand that's able to create room for other mediums of expression whether in different products or in concepts. A platform for global collaboration. Suraj Melwani: I'll call it a successful brand the day that it has an impact on people that stretches beyond quenching their thirst for beautiful clothing. The production of the clothing already benefits members of our manufacturing circle and I'd like to see how it can benefit others outside of that. I see the brand taking a more organic route toward success. On a short-term note (as well as longer), I see the brand image strengthening to the point where people will have a clear idea regarding what we are all about. 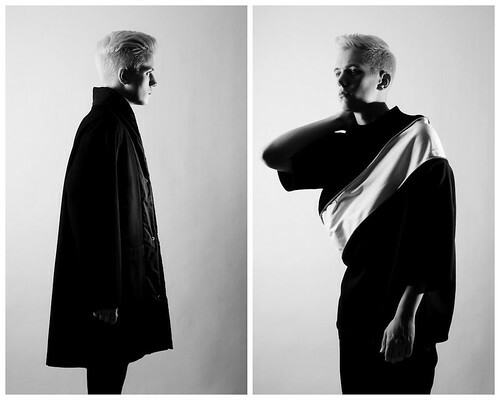 Interview accompanied by my shots of the collection from Blueprint. 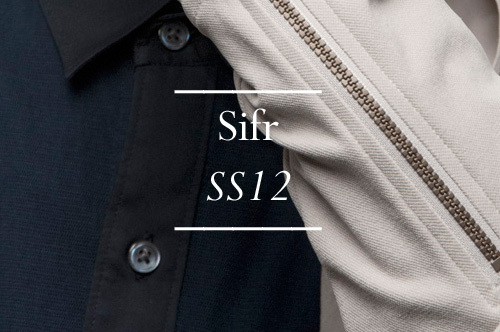 Timely for me, sifr's SS12 collection was born from a process of reflection on the core beliefs of brand and thus served as the perfect introduction. Chris John and Suraj are dedicated to creating products that express premium materials, solid construction and deep thought. The resulting designs explore the versatile semi-formal and casual wardrobe staples that are just perfect for everyday wear. 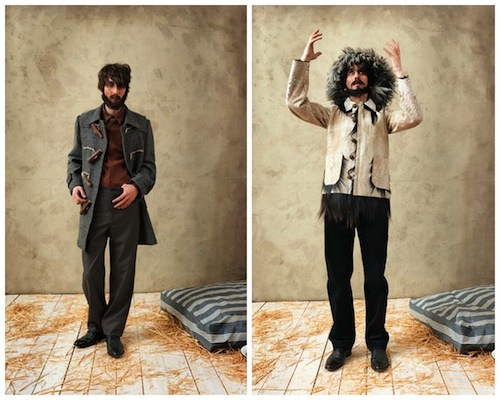 as shown by their SS12 look book. 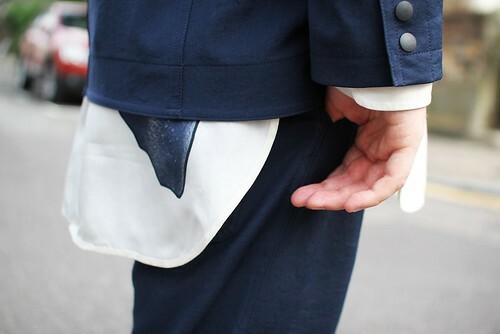 Silk shirt by Tim Soar worn with suit by Comme des Garçons Ganryu and King Tubby's by Mr Hare. Now, regular readers should recall how enamoured I was by Soar's AW10 collection and that I added two key items to my wardrobe as a result. I was particularly taken with Soar's silk dress shirts. They were fascinating and represented a good part of the inspiration behind the entire collection because they were from the 70s but they felt Victorian at the same time. There were equal influences within them, two periods. 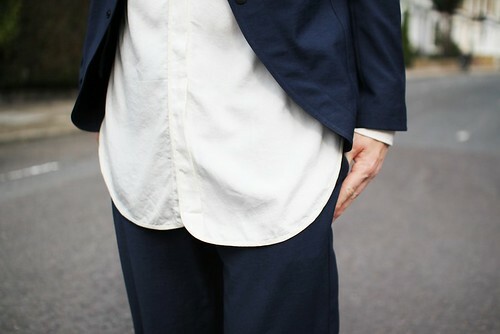 The length and the volume of the shirt means that is caught somewhere between loose and fitted. As an aesthetic going forward, I think an area between loose and fitted is a good place to be and I've enjoyed experimenting with volume and silhouette much more since owning my shirt. The abstract, colourful and bold digital print certainly adds an element of surprise. Just over two years ago, we first were introduced to a capsule collection of transformational outerwear thanks to an exhibition inside b Store. Inspired by the ever practical pac-a-mac, Berthold's debut offering was a unique assortment of outerwear that cunningly changed from a coat to a bag and back again with consummate ease. In the seasons following this memorable introduction, I've often found myself admiring his designs on the rails of my favourite London store but somehow no follow up post has ever materialised. Today, I make amends. SS: What were your inspirations, your dreams and the driving catalyst behind launching Berthold? Raimund Berthold: I liked the idea of being free to follow my own aesthetics, creating clothes I would like to wear myself and see other people appreciating and wearing them too. Also, having your own line opens up great possibilities to work and collaborate with amazing, creative and inspiring people. It is very helpful to be pushed and questioned by people you respect. SS: Aside from it being your surname, what does Berthold mean to you? 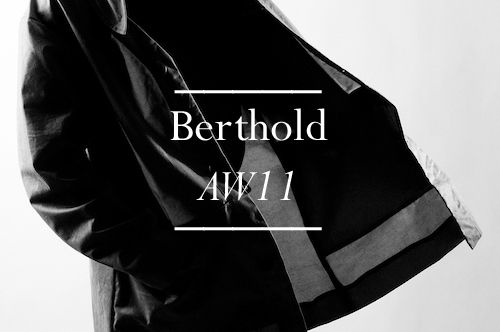 Raimund Berthold: I like the fact that Berthold sounds like a brand and doesn’t make it too personal to me. That is why I haven’t used my first name. I think of Berthold as an accessible and modern label which is always about detailing and function mixed with a bit of humour. SS: How would you describe your approach to design? Raimund Berthold: I usually don’t like endless research material. I prefer to start with a few images or vintage garments and just design and develop from there. I find this keeps my mind free and my work less predictable. 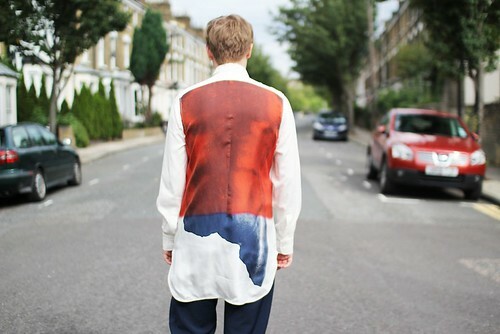 Raimund Berthold: I used to customize my clothes as a child. 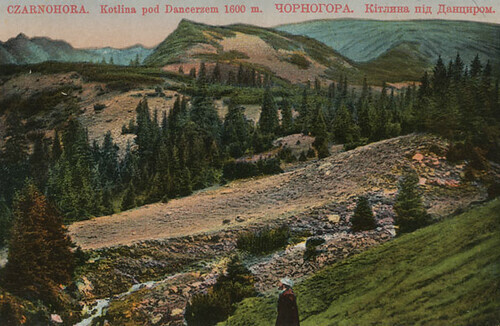 Growing up in the Austrian Alps didn’t give you a great choice of clothes but customizing certainly helped. The last item was a print for next summer. It's based on scaffolding I photographed in a church in Barcelona. SS: What was the starting point for the AW11 collection? How did it evolve into the collection we see today? Raimund Berthold: The starting point was an image of a space suit, which had a very chunky zip across the body. The suits proportions and straight lines are brilliant. 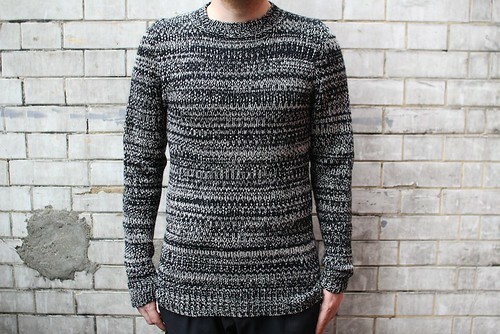 This translated into very boxy jersey peaces, which have chunky zips either vertical, horizontal or diagonal. 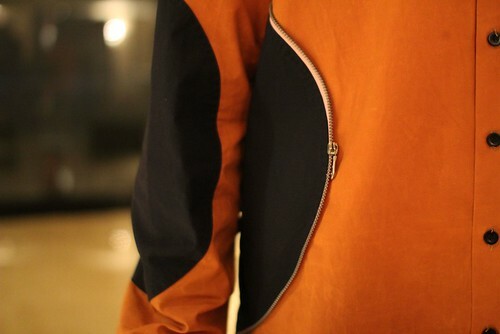 These zips open completely and extend the garment. 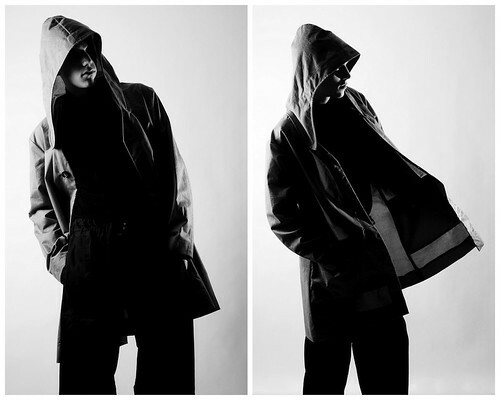 The ”boxyness” inspired the silhouette of the outerwear. Especially the coats….. Simple lines, oversized and very subtle details. Raimund Berthold: I love experimenting with volume and silhouette, but you have to get the balance right. I am very much involved in the pattern cutting process and for me this the really creative time. 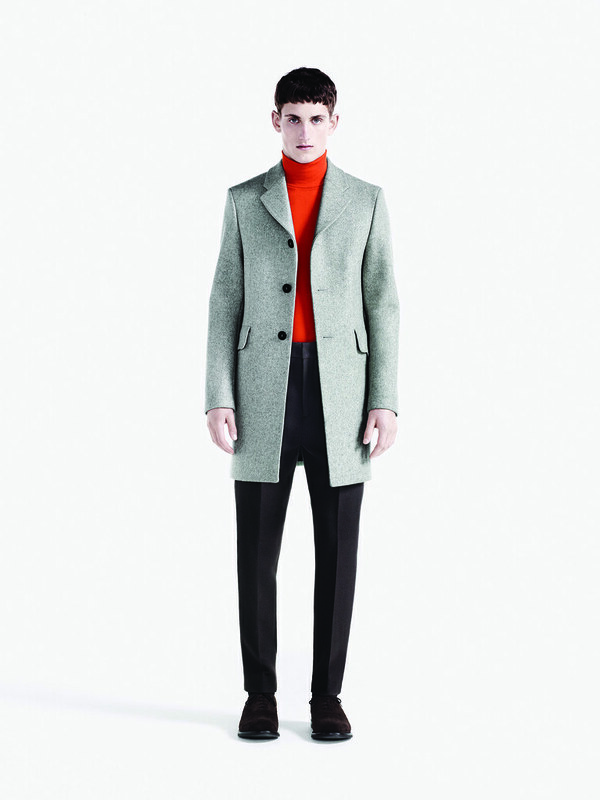 The jackets and coats for this winter collection have an oversized look but don’t swamp you. 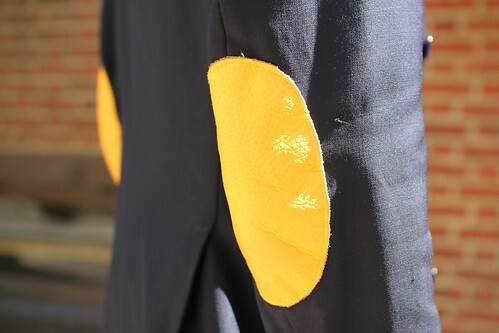 The jersey peaces are also either oversized and cozy or very thin and almost “drapy”. My trousers are slim cut. I like using cotton, because its light and versatile. I also use wool for my outerwear. I often mix them with anything synthetic, either because its gives the garment a better performance, make them more sporty or just for the fun of it. SS: You have quietly and assuredly built up a fan base. 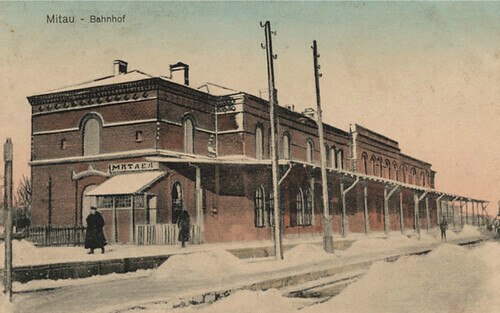 Do you think there is a particular Berthold man? If so, do you think about them when you design each collection? Raimund Berthold: I definitely attract the more creative type. 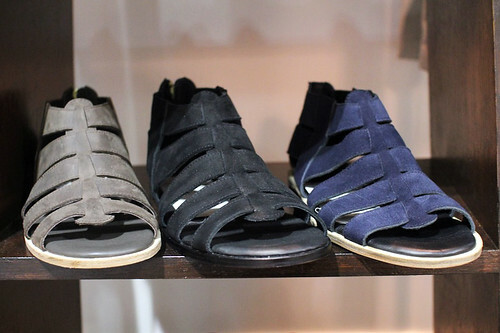 Men that want well made comfortable clothes that sets them apart without being too obvious. Where I do have my customer in mind is when it comes to the fit. I usually ask the “b Store” boys each season which fit worked best for customers and why. I want to create clothes that are comfortable, flattering and of course, those that sell. SS: How has your approach to or view of fashion shifted during the life of the label? 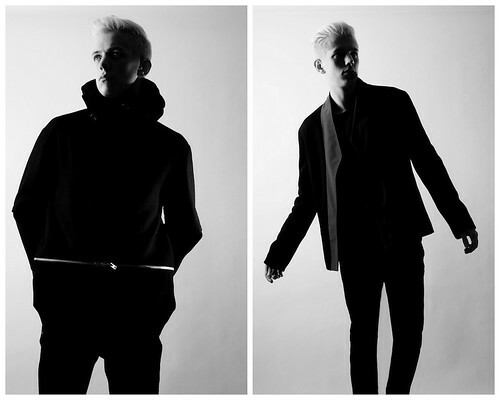 Raimund Berthold: Since starting my label I have met incredibly interesting and passionate people who just love fashion. This has made me rediscover how much fun fashion can be and how lucky I am to be a designer. My approach to fashion has definitely become more confident, especially after realising that you don’t necessarily have to compromise your designs in order to have a viable business. Raimund Berthold: That men have become more fun to design for! SS: Finally, what's next for Berthold? 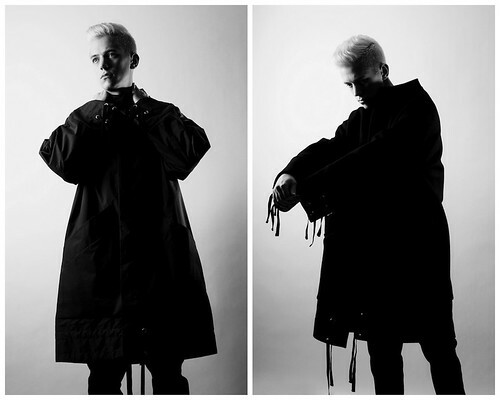 Collection shot by Claire Harrison and modelled by Adam Maddock. I just love how Raimund Berthold has quietly and assuredly built up a fan base whilst offering design without compromise. 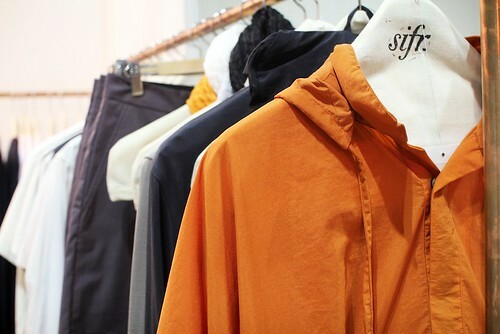 Berthold's designs are currently exclusive to b Store but given the sheer volume of interested buyers at the Six London showroom in Paris that looks likely to change for SS12. 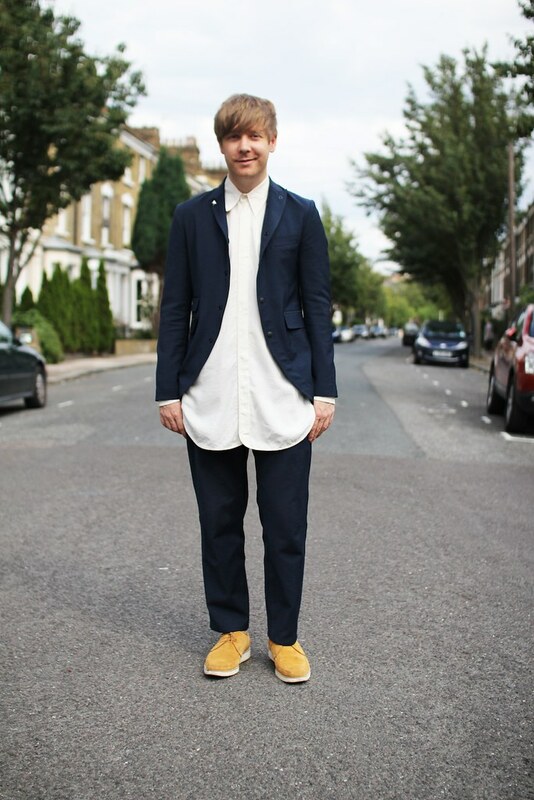 "I bought this officer collar shirt at the Christophe Lemaire boutique in Paris. 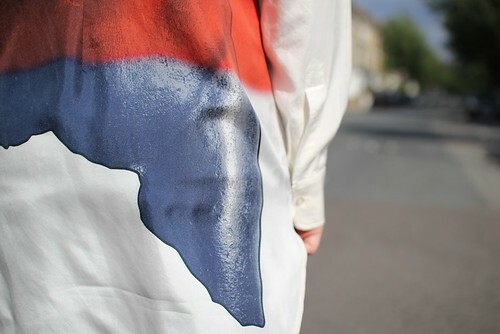 I just love Lemaire's creations. He balances simplicity with timeless style so well and this really resonates with my own personal style. 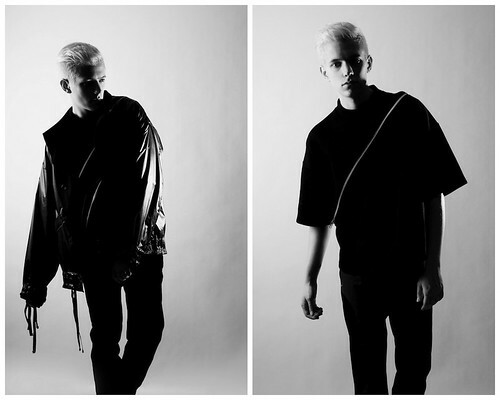 SS: What were your inspirations, your dreams and the driving catalyst behind launching Frank Leder, the label? 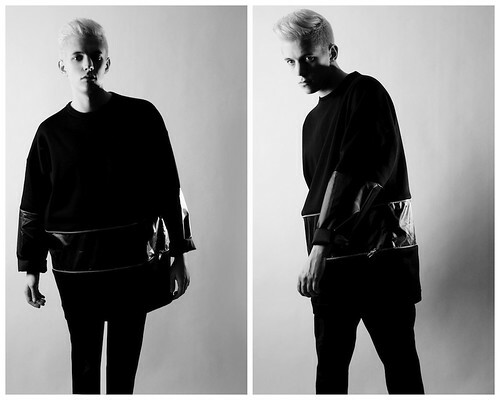 Frank Leder: I see my label as a platform to intensify ideas and working processes. It is like enlightening different corners of a room every season, adding new chapters to the story I want to tell and express through clothes. SS: How has the label and your approach to it evolved over the years? Frank Leder: Being able to continuously work on my vision and produce collections every season gives me the opportunity to share ideas with customers and let them be part of the world I am sketching for them. I take great care to ensure that items from past collections can be worn with the latest collection so I can create a body of work that is never outdated. SS: Aside from it being your name, what does Frank Leder mean to you? Frank Leder: Items that tend not to follow the way of fashion but rather find their own path which has its very own distinct design language. Frank Leder: In a menswear context, the first items were designed with a friend of mine in London, we called them 'Spruchleisten." They were stripes of leather which had printed messages on them and they were designed to hang from the belt loop of trousers. We sold them in a fashion boutique in Soho. These were the first design signals from me. The last item I designed was a summer linen trenchcoat for our latest collection. It is dark blue with vintage horn buttons. SS: Your designs elevate the story of the ordinary German man into the fabric of each collection. What was your initial starting point for the Galicia collection for AW11? Frank Leder: If I can find the time, I like to read literature. For years the writing of Joseph Roth have been one of my favourites. In his stories, the place which time forgot 'Galicia' really comes to life. 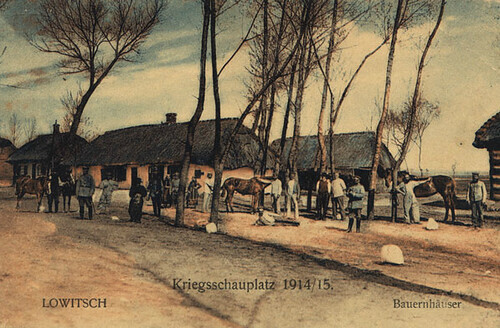 SS: How did the memories of this forgotten land inspire the collection we see today? Frank Leder: By getting totally lost in Joseph Roths writing and the visual style of old vintage coloured postcards from towns, villages and landscapes in Galizia, collection formed in my head which I wanted to bring to life and share with my customers and followers. 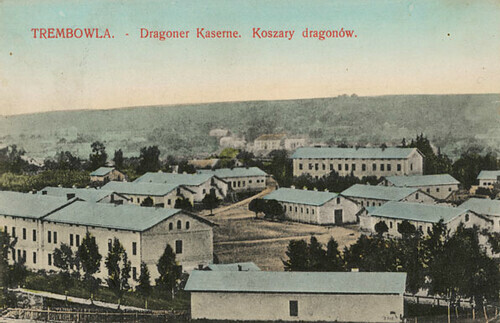 Nowadays Galazia does not exist, it has only survived in print, pictures and memories and this inspired me to create a collection out of it. SS: Craft, local manufacture and fabrics are obviously very importantto you. 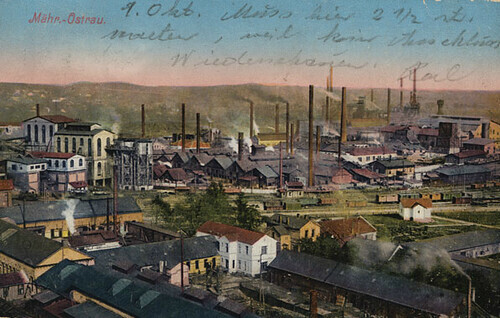 You must work with some extremely small and remote factories. Is it difficult to find them and how has your relationships grown over the seasons? Frank Leder: Over the years, I've been fortunate to be able to fall back on a network of friends and contacts which share the same way of thinking and approach to work and life. These people come from a variety of backgrounds and disciplines including artists, writers and craftsmen. If one of them stumbles across an interesting place or person, they tell me about it and I do the same for the. Through this network of sensibility I have discovered real gems which have been incorporated in to my collections. I am always surprised at the end of a collection by what we have discovered and unearthed in the process of making a new collection. SS: Could you tell us about a few of the materials and processes used to create this collection? Frank Leder: As it was an autumn/winter collection, I was able to use thick wool and linen materials in interesting weaves and colours. Some really interesting piece incorporate skin and fur from wild sheep and goats sourced from the Carpartian mountains. These pieces still have wildness oozing from them. We made jackets, vests and hats out of them. These pieces are as far removed from fashion as possible, great! 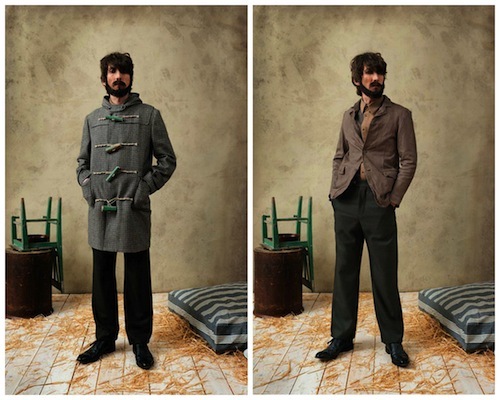 Frank Leder: This season, our dufflecoats have closures cut from vintage chairs and staircase rails. The idea and imagination was, when people from Galicia had to emigrate and leave their beloved possessions behind, they would try an incorporate them into their clothing in order to take them as reminder of their homeland and past life. SS: As a designer, would you agree that you are more interested in style than fashion. How would you describe your approach to design? Frank Leder: The garment always comes first, its fabric, cut and details. Then I try to integrate those pieces in to my body of work, the story I continue to eave, the pictures and images I want to share. Fashion, as in what is the newest colour, cut or trend does not interest me in the slightest. I am not looking at what other designers are putting on to the market but rather, I concentrate on my own offerings and hike in that direction. I like to explore for myself. SS: Your collections are rooted in history yet essentially modern in their approach. You certainly have a great respect for the past, if you could go back in time and experience one moment or era of style, what would it be? 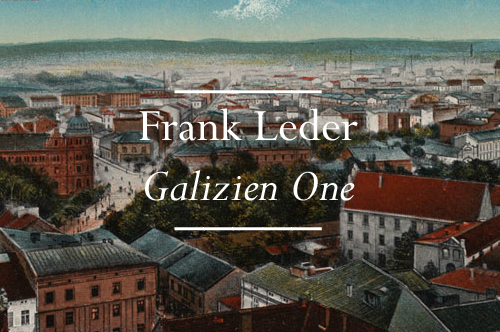 Frank Leder: I am not so sure I have a favourite time in the past, I rather like the present. I am mostly inspired by people. I look at people in the present as much as images of people from the past. Garments, haircuts change but when looking in to people;s eyes, you can see the essential human being. It is fun to imagine their lives, dream and ambitions. SS: Finally, how do you see Frank Leder, the label, developing over the next few seasons? Frank Leder: I would like to more light on corners I have not yet explored and continue to tell interesting stories from my system. In addition to that, aside from garments, we are working on products which are essential coming from our body of work and universe. These will manifest themselves in to different goods and items in the near future. 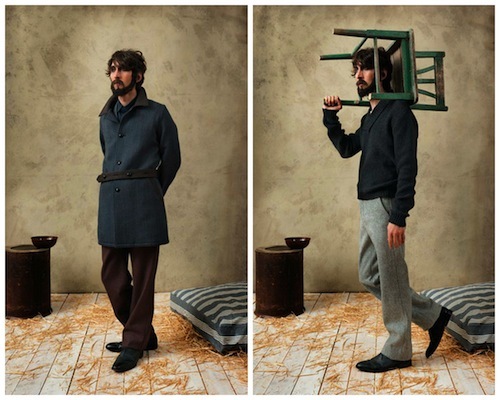 For next season, Leder continues his reimagination of Galicia and its inhabitants. 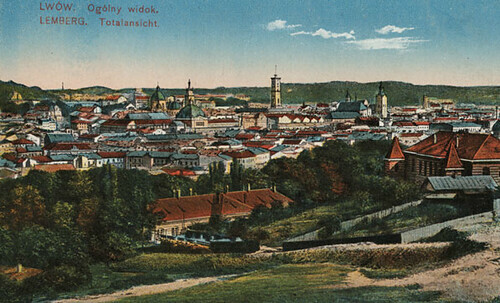 The central theme for next summer will be travel and their emigration out of Galicia towards the western world and specifically the promise of America.